How to connect Avocode to Slack? 1. Go to your Team member settings. Click on your avatar in the top right corner and then Team members. 3. 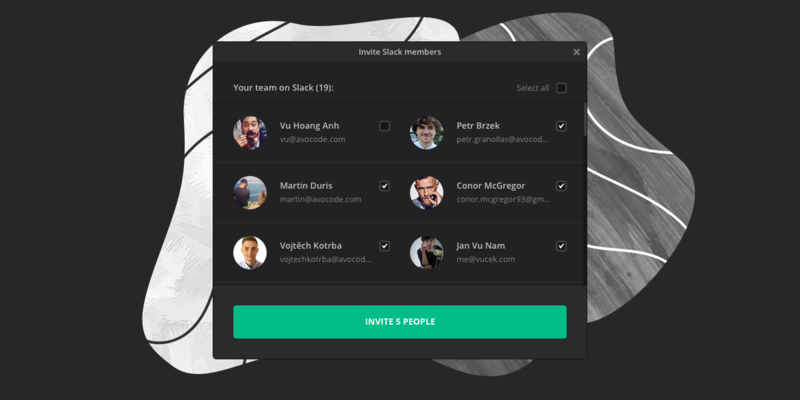 Select your Slack team and authorize the integration to access your Slack team member e-mails. 4. Select all people who should be in your Avocode team and hit INVITE. 5. 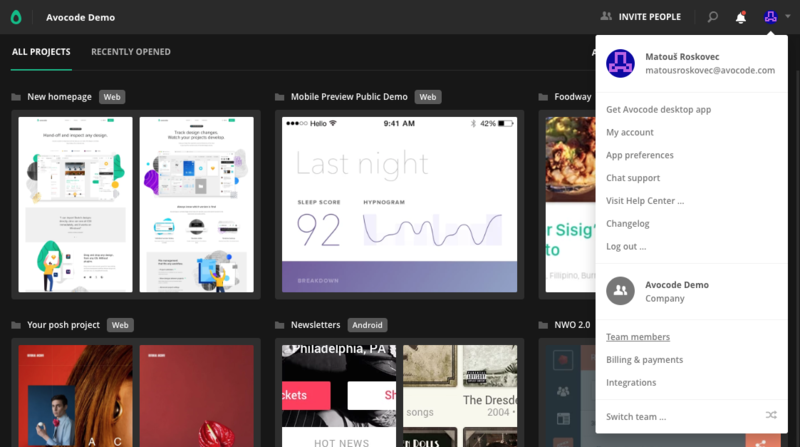 If you're in the Company or Enterprise plan, you can edit project permissions of the invited people. All invited people will receive an e-mail and will need to create an Avocode account in order to sign in and join your team. 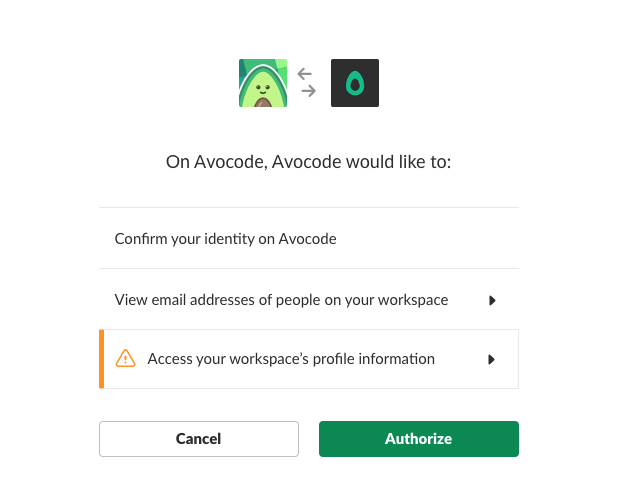 Learn more how to get Avocode notificatiuons in Slack.